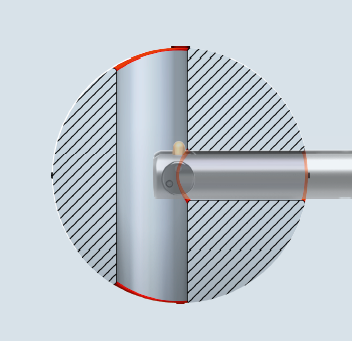 With X-BORES, HEULE takes up the challenge to provide solutions for cross hole deburring in even the most complex situations using new materials or material combinations. By replacing the necessity to manually deburr cross holes, HEULE provides an automated solution that saves cycle time and produces higher quality parts, while allowing you to easily satisfy the rising demands of production. HEULE is an experienced problem-solver providing customer-optimized solutions for both standard and complex cross hole deburring applications. For many cross hole deburring applications that our customers encounter, COFA is the best solution for replacing manual deburring. 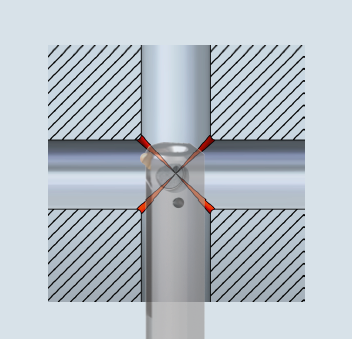 In situations where parts are being hand deburred because of the existence of cross holes, a standard COFA tool is often the way to eliminate time and labor, while also producing more consistent, higher quality parts.